Could someone please tell me how Reserve Squadrons, which is what I assume the recorded term "RS" relates to, fitted into the Royal Flying Corp's scheme of things, and their relationship, if any, with similarly numbered fighter/bomber Squadrons? As a specific example: Records for Robert Henry Sharp show him (after being attached from the Worcester Regiment), moving from Reading to 41 RS on 3 October 1916, to 15 RS on 18 December 1916 (for "higher inst"), then, after being appointed a Flying Officer, to 42 Sqd in France during March 1917, where he was to be awarded the Distinguished Flying Cross and Italian Bronze Medal for Military Valour. While with 15 RS, he was elsewhere recorded as being "stationed quite near his home," which was in Doncaster, while details I have seen for 15 Squadron show them being in France from December 1915. Reserve Squadrons were the training squadrons, and indeed subsequently changed their name to Training Squadron. An 'higher inst' refers to higher instruction on the type of aircraft they were destined to fly operationally. Disbanded into No.47 TDS 15.7.18. Disbanded into No.39 TDS 15.8.18. I disagree: 41 RS (Farman etc) to 15 RS (RE.8/FK.3 etc): seems like a natural progression for an Artillery pilot. Formed in 8th Wing at Bramham Moor 5.7.1916. To Doncaster 16.8.1916. Designated as an Elementary Reserve Squadron and establishment at 23.12.1916 set at 18 MF or GW XV. Disbanded into 47 TDS at Doncaster 15.7.1918. Major BP Greenwood by 2.1917. Major S Grant-Dalton MC. Representative Aeroplanes	Caudron G.III A1892, A1893, A1894, A1895, A1896, A1897, A1898, A1899, A1900, A1901, A2121, A2123, A2124, A2993, A2995, A2997. Curtiss JN4 B1934. MF Se.11 7359, 7377, A331, A2198, A4062, A4063, A4065, A4066, A4073, A4075, A4080, A4081, A4082, A4086, A4087, A6809, A6810, A7034, A7035, A7036, A7059, A7060, A7061, B1974, B2010. Formed in 6th Wing at Thetford 15.12.1915. To Doncaster and 8th Wing 1.1.1916. Designated as a Higher Reserve Squadron and establishment at 23.12.1916 set at 6 AW + 6 RE8 + 6 Avro. To Spittlegate and 24th Wing 15.9.1917 and disbanded into 39 TDS at that station 15.8.1918. 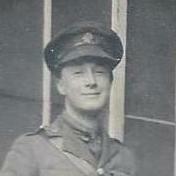 Major T Leigh-Mallory 10.5.1917 – 27.11.1917. Avro 504A/J 4045, A2633, B391. AW FK3 5509, 5522, 5523, 5524, 5530, 5532, 5535, 5537, 6205, A8092, B9525, B9535, B9537, B9540, B9541, B9542, B9544, B9547, B9548, B9560, B9594, B9608, B9609, B9633, B9640, B9647. AW FK8 A9997, B291, B4120, B4176, B5811, C3568, C8425, C8549, C8615, D5017, D5025, D5049. RAF BE2c 2620*, 2621, 2709, 2720, 2721, 4185, 4425, 4507, 4557, 5430, B9968. RAF BE2e 6273, 6288, 6778, 7194, 7340, A1351, A2870, A2969, A3060, A3063, B9457. RAF RE8 A3189, A3419, A3445, A3693, A3879, A4180, A4192, A4233, A4579, A4674. I fully agree: I find the RS/TS/TDS subject very interesting - probably the more so, since very little survives to make sense of it all. And I should have realised that the '1916' dates would be pre-RE.8! Basic error. In 1917 there was a directive that each Training Brigade would host an Artillery training station, but again there is no obvious indication (other than a particular unit's specialism onto one type) that any particular station was the one thus directed. From what I've seen, the same would appear to be true for Higher Instruction in Scouts and Bombers. Thanks to all who took the time in responding to my query. From the information provided, it would appear that while being trained as a pilot, temp. Lt. Sharp went from elementary (41 RS) to advanced (15 RS) training by simply turning up at a different Doncaster Aerodrome hangar. From what Mick has written above, it may be that he undertook some RE8 training while at Doncaster, which would have no doubt been advantageous when 42 Sqn changed type, although I found a Casualty Report entry detailing that he "underjudged landing from photography" on 5 April 1917 in a BE2e (Ser. No. 6269, AIR 1/847/204/5/382). Both he and Lt. R. P. M. Witham were recorded as being OK, although on 8 April the aircraft was considered not worth repairing by No. 1 Aircraft Depot and Struck Off Charge (AIR 1/988). As others here have said, the training of aircrew should be of interest, as it was something which all those flying must have undertaken at some stage. While going through items at the RAF Museum, I noted that flying instructors nicknamed their students "Huns" because they were considered as dangerous as the enemy. Accidents were common, and for most of the war casualties sustained at training units were even greater than losses in action. Perhaps someone could confirm this? raced Prentice Gulls during the mid-40s (his 1946 Folkestone Race aircraft is currently suspended from the airside arrivals ceiling inside Auckland Airport’s Jean Batten International Terminal). In 1911, the School magazine had awarded him a title of Knight of the Most Eminent Order of Negligency, later recording that while on a School cycling trip to Wales in 1912, "Carruthers, however, never did manage to tie everything securely [to the bike], with the result that something was always falling off, either a camera, or a mackintosh, or sometimes even Carruthers himself." Retiring to run a caravan park in Devon, his affiliation with flying didn't end. Flight magazine reported in April 1951 about a new type of folding caravan built on his site which was "capable of being stowed with ease into the hold of a Bristol Freighter". Sometimes front-line wartime escapades are just the beginning, as in farmer Sharp’s case. An accomplished sportsman, after the war he went on to play cricket for Essex, which must have hurt a little bit as he was a Yorkshireman! 'Greater losses in training than in combat' appears to be a bit of a long running 'myth'. Peter Dye in his PhD on RFC Logistics (available on archive.org I believe) has total of Pilots, Observers and Air Gunners killed as 6.933. With just over 2000 pilots killed in training. The Official History 'War in the Air' Appendices Volume page 160, Appendix XXXVI, has total British Air Service killed from all causes as 6,166, that is 4,579 Officers and 1,587 NCOs and men. The German air service killed (from Reicharchiv, Potsdam) has a total of 5,853, that is 2,397 Officers and 3,456 NCOs and men. The German Air Arm used more NCO pilots of course than the RFC/RNAS/RAF. There are much higher figures for British killed in some books but the original sources for these appear to be a bit vague! Correction 21st Oct. - Peter Dye's PhD is available on the British Library's ethos site not archive.org. Mike, presumably British Air Service would include Empire servicemen not just British, but do you know if it includes Australian Flying Corps? Thanks for the Peter Dye PhD reference, I've downloaded it and will peruse over the weekend. Yes, it should do the AFC was fully integrated with the RFC/RAF so the casualties will be in those figures. Indeed if I remember correctly in one 3 Squadron AFC letter they address themselves as '3 Squadron, AFC, RAF.' This is incorrect officially but they probably thought themselves as part of the whole thing and not some separate organisation in the reality of fighting the war. Interests:RFC/RAF, Queen's Royal West Surreys and History. "While going through items at the RAF Museum, I noted that flying instructors nicknamed their students "Huns" because they were considered as dangerous as the enemy. Accidents were common, and for most of the war casualties sustained at training units were even greater than losses in action. Perhaps someone could confirm this?" There is a lot of misleading information around, which backs up what MikeMeech has said in his reply post, that the original source figures are vague. In Robert Morley's M.A. Thesis entitled 'Earning their Wings: British Pilot Training 1912-1918' He uses figures that seem to conflict each other. For it states that the RAF/RFC had trained 22,000 pilots during the war and that 15,000 had been casualties. Then states at the wars end the RAF strength was 17,000 planes and 30,000 pilots. If you read the 'CONCLUSION' pages 116 to 117. The perils of considering such documentation as primary source data! Wounded or injured; Officers - 5,369, NCOs and men - 1,876. Total - 7,245. Missing or interned - 2,839. 373. 3,212. Wounded or injured; 3,129. 4,173. 7,302. Missing or interned - 1,364. 1,387. 2,751. Always remember 'casualties' does not mean 'dead' as is sometimes assumed in some publications (and as we see occasionally when 1st July 1916 is talked about with 'casualties' becoming the 'dead' on the 1st day of the Somme). Air Power’s Midwife - Logistics Support for Royal Flying Corps Operations on The Western Front 1914-1918, p.29. "The RFC’s flying training system improved significantly during the course of the war, both in standards and in scale (this included dedicated flying training schools in Canada, Egypt and the USA). Nevertheless, a shortage of pilots continued to delay the planned growth in frontline squadrons. A proper understanding of this subject, and its actual influence on the RFC’s contribution to the Western Front, has been impeded by a degree of misrepresentation and confusion. Denis Winter, The First of the Few (1982) exaggerates the losses in training fourfold and states that they exceeded those suffered in combat. He is also in error over the total number of casualties suffered by the RFC. Unfortunately, these claims have been repeated in subsequent studies and appear to have become part of the mythology of the air war. Wherever possible, therefore, original records are employed to support this analysis. 102. 6,933 British airmen (including observers and air gunners) were killed while flying in the First World War rather than the 14,166 pilots claimed by Winter. This may have been a transcription error but there is no credible explanation as to why Winter adds that 8,000 died in training. In fact, the number of pilots killed in training accidents between 1914 and 1918 was just over 2,000. D. Winter, The First of the Few (London: Allen Lane, 1982), pp. 36-37. C. Hobson, Airmen Died in the Great War 1914-1918 (Suffolk: J.B. Hayward, 1995). C. Hobson, ‘The First Air War - The Casualty Records’, Cross & Cockade International Journal, Vol. 30, No 4 (1999), pp. 204-209. 103. This includes Ian Beckett, The Great War (London: Pearson Education, 2007), p. 256 and more recently, Joshua Levene, On a Wing and a Prayer (London: Collins, 2008), p. 63." Interests:East Yorkshire Regiment "Especially 7th Batt". Also Servicemen and Servicewomen from Doncaster.